Ainsley Gardiner fell in love with film in Whakatane. Growing up there on a diet of "mostly really bad Hollywood movies" helped clarify what makes a film good; it also fuelled a desire to work in the screen industry. Since then Gardiner has sought out stories by two groups who have often battled to be heard on-screen: Māori and women. While studying production at the Avalon Film and TV School, Gardiner was given a work placement with producer Larry Parr, who was running company Kahukura Productions. Gardiner has said more than once that her real interest lay in writing and directing. But "there was a role for a producer, and it just naturally developed from there". Parr was running company Kahukura Productions. "He proactively promoted women and Māori," says Gardiner. "I've gotten to where I've gotten to because other Māori and women have actively fought so I don't have to experience prejudice and struggle, so I know there's an obligation on me to do exactly the same thing." Parr was working on a series of low budget films. He handed Gardiner the reins to produce one of them, road movie Kombi Nation (2003). The Grant Lahood film was of the trial by fire variety: six crew and four actors in two vans, filming on the run across Europe. Thankfully by then Gardiner had already gained some experience on short films, including low budget award-winner The Hole (1998). During her six years working with Parr, Gardiner also co-produced 26-part series Lovebites (2002). The show came about because Parr and Gardiner felt further gold could be mined from the inept 20-something characters featured in Kahukura romantic comedy Hopeless. The collapse of Kahukura in 2002 struck Gardiner hard. While pondering a change of careers she was handed three scripts by her friend Taika Waititi, who told her he had aspirations to direct. The duo would go on to work together on two award-winning shorts and two features, all of them high profile. Waititi's tale Two Cars, One Night (2003) became the first dramatic short from Aotearoa to be nominated for an Academy Award. Gardiner produced with Catherine Fitzgerald. Gardiner compares the glories of Oscar ceremonies and Opotiki in this video interview. Soon after making it, she joined Cliff Curtis to form Whenua Films (initially Alo Films). The production company was founded to encourage indigenous stories. Curtis has paid tribute to Gardiner's "astounding capacity and capability, the amount of work that she does", and her creative and financial nous. The trio of Gardiner, Waititi and Curtis collaborated on World War II tale Tama Tū (2004), which was invited to over 40 film festivals. Waititi's first feature, geek romance Eagle vs Shark, was shot in five weeks on a low budget. Gardiner described it as a tale of "two people who don't quite fit". Boy, the far more ambitious movie that was set to follow, was "far better resourced and way more relaxed". The crew were based on an East Coast marae. Gardiner was determined to find a way of working that suited people's families, and spouses and children were welcome. Boy centres on an 11-year-old East Coast boy trying to make sense of his world. Making it may have felt more relaxed, but it was no walk in the park. Gardiner and fellow producers Curtis and Emanuel Michael dealt with extensive location work, 12 child actors, a late change to the main actor, and a director who was also acting in one of the main roles. Within a month of its New Zealand release in 2010, Boy had grossed $4 million. It went on to take the number one spot for a local film by total box office haul (at least until the arrival of Waititi's Hunt for the Wilderpeople, in 2016). But Gardiner had other stories she needed to tell. In 2015 she set up Miss Conception Films, with Eagle vs Shark line producer Georgina Conder. The intention was for women to tell strong stories about women. As a mother of three daughters, Gardiner spoke of "making movies that they will be interested in." The duo kicked off in style with 2018 buddy comedy The Breaker Upperers, which sold to Netflix for all territories outside Australasia. It was written and directed by Madeleine Sami and Jackie van Beek, who starred as two women whose business is ending relationships. The crew was roughly 60 per cent female (Carthew Neal also produced). Said Gardiner of the script: "I loved that the characters were kind of anti-heroes,unorthodox female kind of role models, who are a little bit despicable, but actually loyal and loving." The same year saw the arrival of Miss Conception's second feature, She Shears. Hilary Barry praised the documentary on female shearers as "a stunning slice of rural life and the gutsy women who share a passion for shearing". 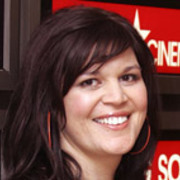 Gardiner's work as director includes technology show Cyberworld, and writing and directing 2009's Mokopuna. The short film follows a Māori girl struggling to embrace her roots. Mokopuna was named Best Short Film at Canadian indigenous festival Dreamspeakers, one of 16 global festivals it was invited to. In 2017 Gardiner was part of the team of all female writer/directors behind anthology film Waru. She argues that the experience helped change her approach to her work as a producer. As she told Stuff's James Croot: "What I most enjoyed about Waru was how nine women could come together with different stories, different opinions and different viewers, disagree absolutely, but argue robustly and make decisions quickly." Gardiner argues that Waru showed her a way to "really supercharge the creative process — allow people to be heard and come to an agreement". As a producer, Gardiner's credits include TV One variety show Happy Hour (2014), featuring Temuera Morrison and Boy's Cohen Holloway, and musical road movie The Pā Boys. She was an executive producer on acclaimed film Fantail. Back at Whenua Films, she oversaw a short film fund for the NZ Film Commission, which saw her executive producing Sima Urale's Coffee & Allah (2007 Venice Film Festival), Mike Jonathan's Hawaikii (Berlin 2007), and Taua (Edinburgh 2007, Clermont-Ferrand 2008), directed by Mt Zion's Tearepa Kahi. In 2007 Gardiner and Kahi were on screen, co-presenting Māori Television show Iti Pounamu. It showcased Kiwi short films. In 2018 Gardiner was named a Member of the New Zealand Order of Merit, for her work in film and television. The following year she and writer Briar Grace-Smith were awarded the year-long Merata Mita Fellowship, by the Sundance Institute in the United States. Although well aware that success in the screen industry requires a combination of perseverance, luck and talent, Gardiner remains upbeat about creating stories for — and with — women. "With George [Conder], I feel like we've matured enough to have a greater sense of what works and how to do it."